Today, cities are overshadowed by multiple threats: climate change, overpopulation, social division, and urban warfare all endanger our way of life in urban areas. The fundamental way in which we make sense of these uncertain futures is through the imagination. 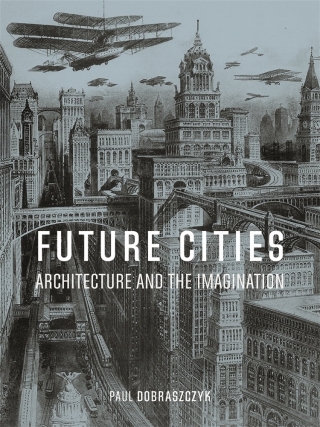 Architects, artists, filmmakers and fiction writers have long been inspired to imagine cities of the future, but their work tends to be based on scientific predictions that separate hard evidence from flights of fancy. In a digital age when the real and the virtual exist together, it is important to know how the two are entangled, and how together they may help us to think of the future. Exploring a breathtaking range of imagined cities – submerged, floating, flying, vertical, underground, ruined and salvaged – the book teases out the links between speculation and reality, arguing that there is no clear separation between the two. In the Netherlands, floating cities are already being built; Dubai’s recent skyscrapers resemble those of science-fiction cities of the past; while makeshift settlements built by the urban poor in the developing world are already like the dystopian cities of cyberpunk. 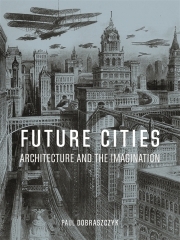 Bringing together architecture, fiction, film and art, the book re-connects the imaginary city with the real – proposing a future for humanity that is already grounded in the present and in the creative practices of many kinds. Paul Dobraszczyk is a researcher and writer and a teaching fellow at the Bartlett School of Architecture, London. He is the author of The Dead City: Urban Ruins and the Spectacle of Decay (2017) and Iron, Ornament and Architecture in Victorian Britain (2014), and co-editor of Global Undergrounds: Exploring Cities Within (Reaktion, 2016).